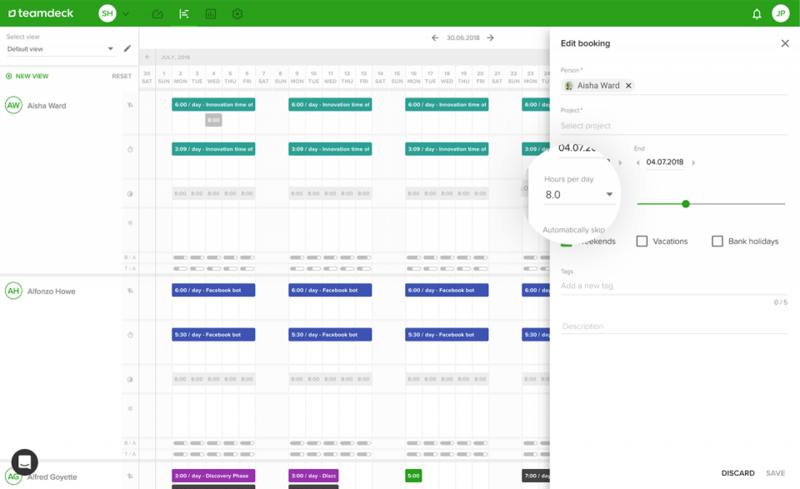 Assign bookings to your teammates based on their expertise and availability. See who is busy and who can take up more tasks. Monitor team’s utilization across different projects or departments. 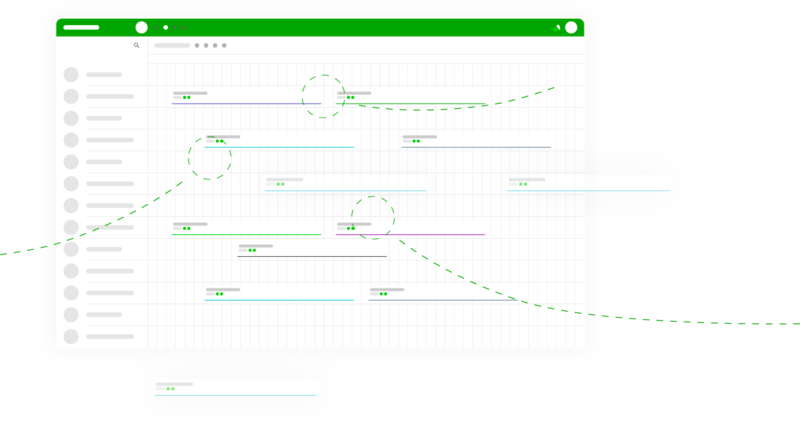 Visibility into your production pipeline allows you to forecast the available employees and plan accordingly. 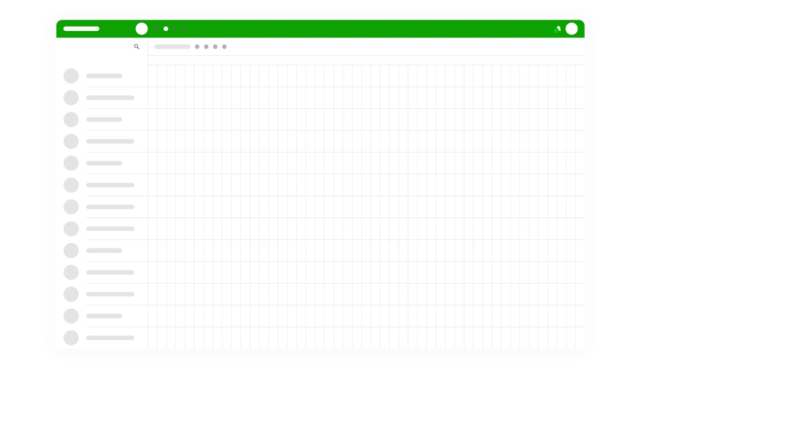 Teamdeck helps you organize your teams with less effort. 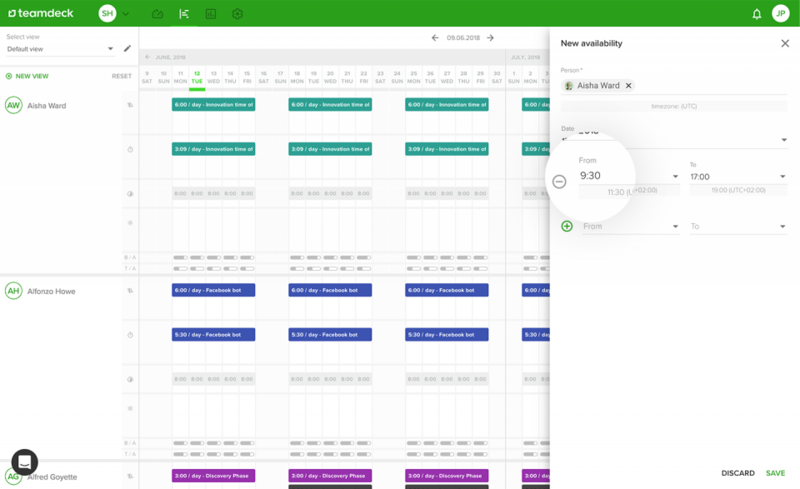 With a simple calendar view you’re able to find relevant employees, compare their bookings and availability, and finally assign them to a project right away. 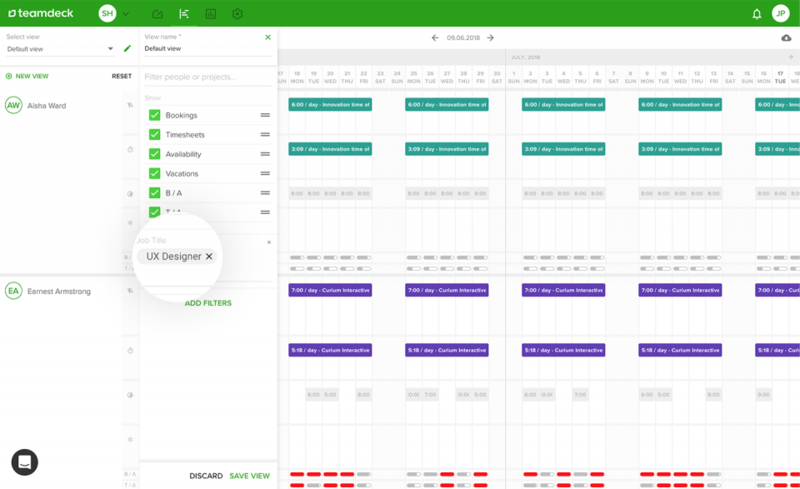 Teamdeck gives you control of the workload too, allowing for more efficient and effective resource scheduling. 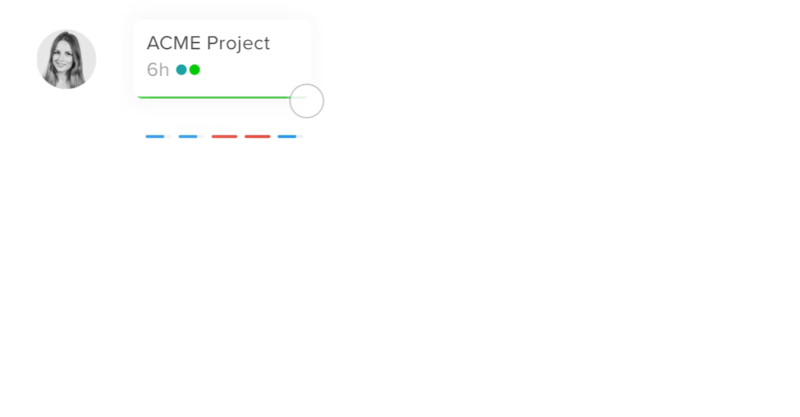 Add custom categories to your team members and projects. Apply custom filters to analyze specific employee groups faster. 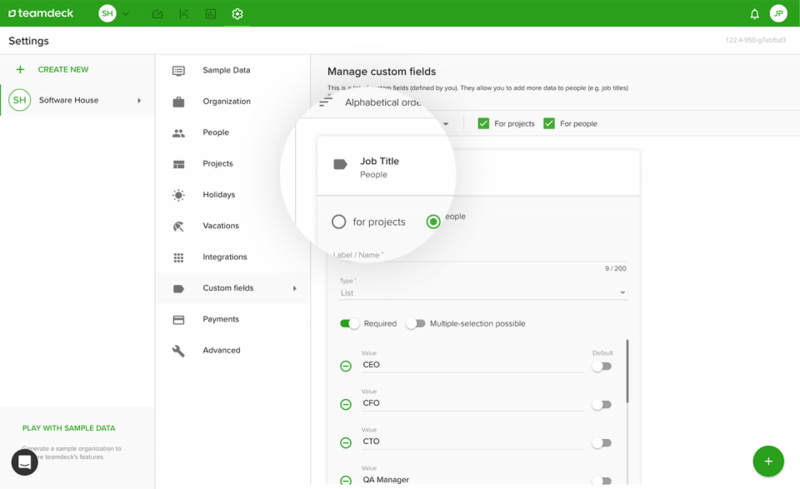 Assign people to work on different projects.Need to change your plan?Drag to resize your bookings quickly. 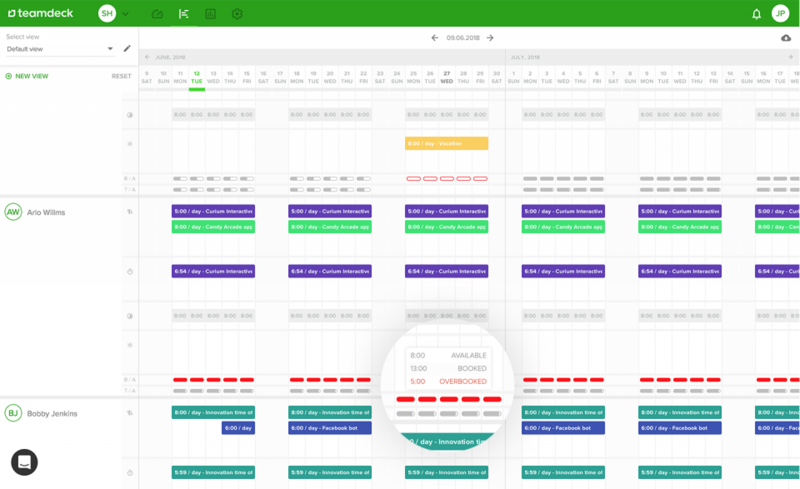 Teamdeck warns you about booking overlaps or exceeded working time. Part-time employees or freelancers are able to enter their hourly availability. 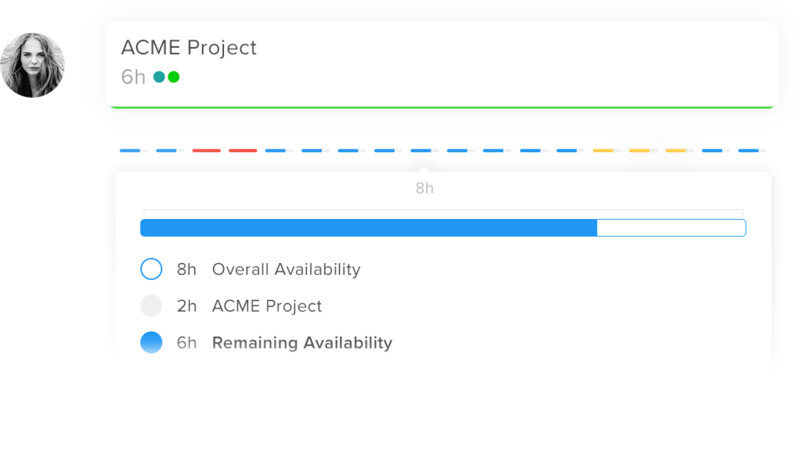 You know exactly how much time they can spend on your project every day.